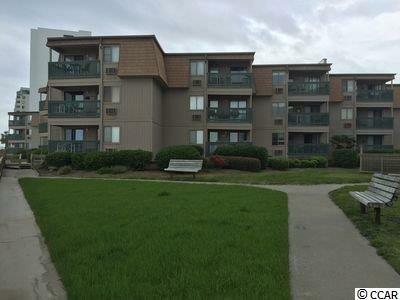 THIS CONDO HAS BEEN UPDATED TOP TO BOTTOM AND BEEN IN THE SAME FAMILY FOR 18 YEARS.ENTIRE CONDO FLOORING UPDATED TO GREY WEATHERED WOOD VINYL PLANK IN FEBRUARY 2018. BOTH AIR CONDITIONERS NEW IN 2017. ALL NEW DOOR HARDWARE IN ENTIRE CONDO IN 2008.KITCHEN: COMPLETE REMODEL IN 2008 INCLUDING NEW SHEET ROCK AND CABINETS. NEW DISHWASHER 2017. NEW REFRIGERATOR IN 2016, NEW STOVE AND MICROWAVE IN 2008. NEW KITCHEN FURNISHINGS INCLUDING DINNERWARE BOUGHT IN 2008. ALL NEW DEN FURNITURE, DINING ROOM, AND BAR STOOLS NEW IN 2008. NEW SHEET ROCK IN DEN IN 2008. BATHROOMS: NEW SINK IN MASTER IN 2008, MASTER SHOWER, HALL BATH SINK AND TUB WERE REFINISHED IN 2008. NEW TOILETS IN BOTH BATHS IN 2008. NEW SHOWER DOOR IN MASTER IN 2008. ALL FURNISHINGS INCLUDED EXCEPT SOME PERSONAL WALL DECORATIONS/PAINTINGS/PHOTOS. BLACK OUT BLINDS IN 2ND BEDROOM INSTALLED AND INCLUDED. RENTAL HISTORY UPON REQUEST.